I did this a few months back, but never got to posting it until now. 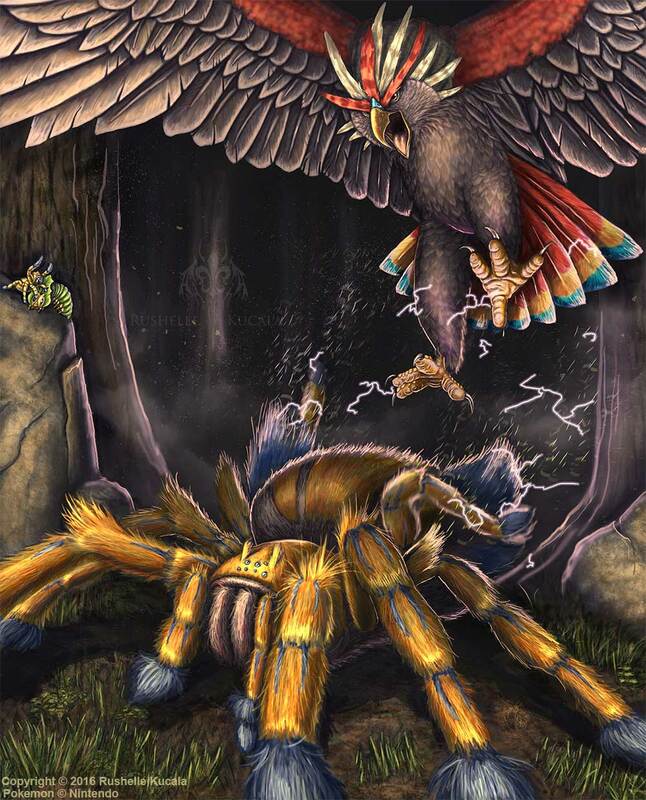 A galvantula is being targeted by a braviary, so the galvantula rubs his legs against his abdomen, creating electricity, then once the braviary is close enough he flings the static charged hair at his foe. Not only does this give a powerful shock, but also paralyzes.